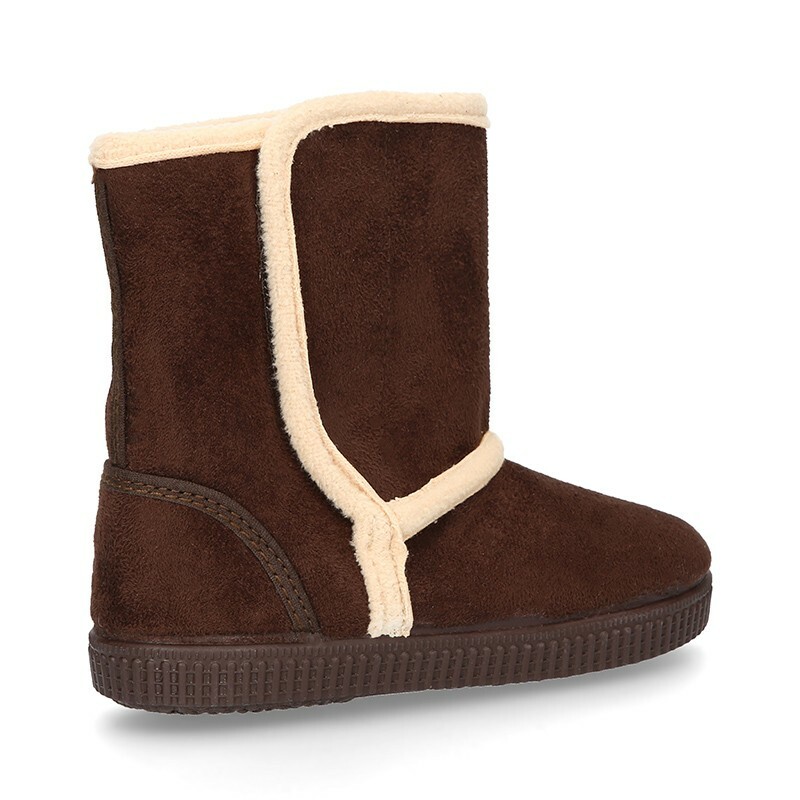 > Toddler girl>Boots and ankle boots>Autumn winter canvas Lined boot shoes with velcro closure and sneaker outsole. 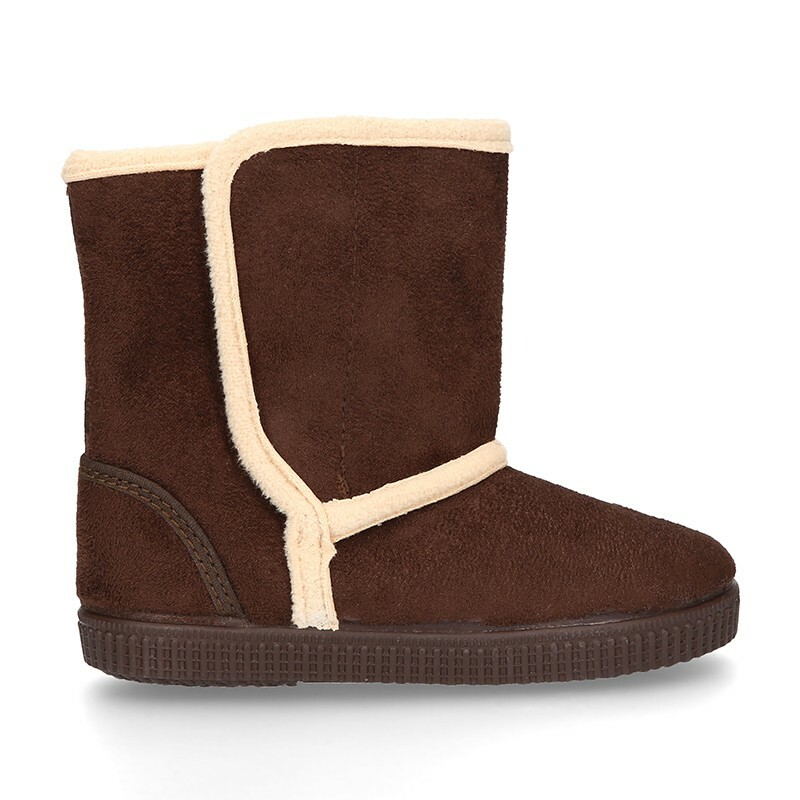 Autumn winter canvas Lined boot shoes with velcro closure and sneaker outsole. 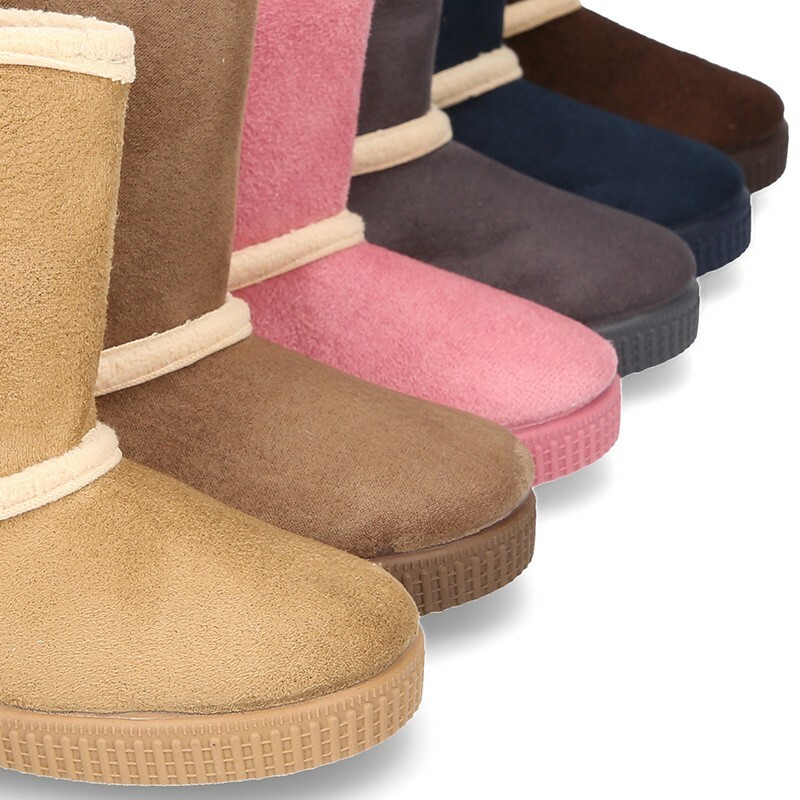 Autumn winter canvas lined boot shoes with velcro shoes and sneaker outsole for boys and girls. 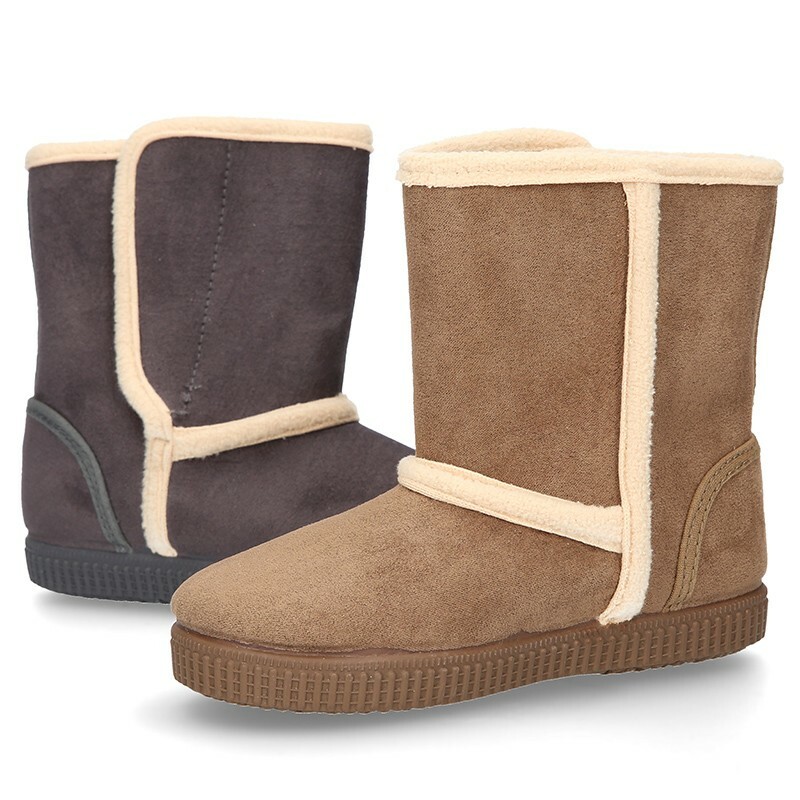 More info about Autumn winter canvas Lined boot shoes with velcro closure and sneaker outsole. 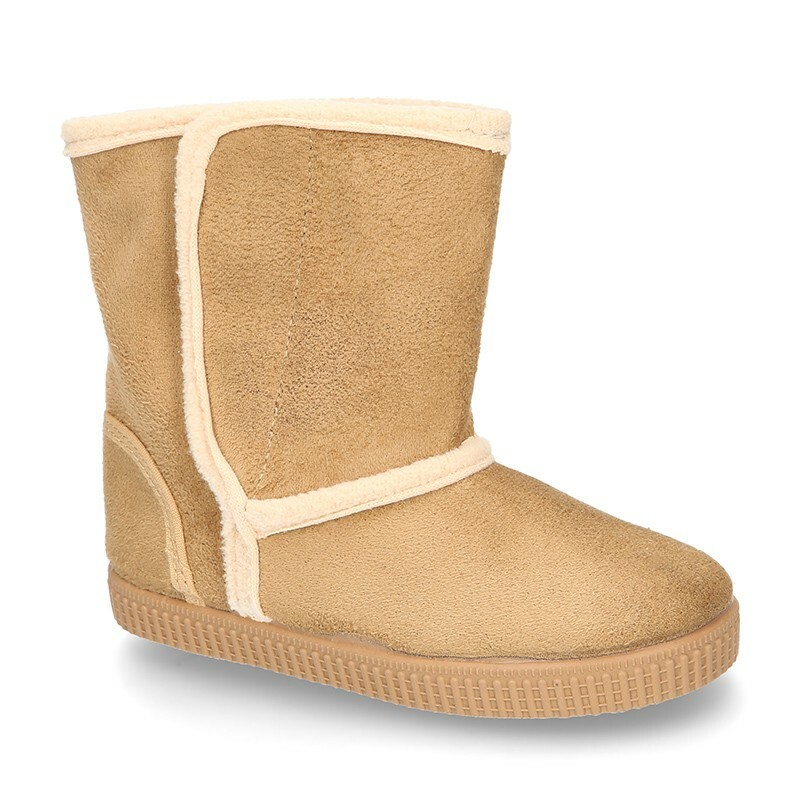 Autumn winter canvas lined boot shoes with velcro closure and sneaker outsole for boys and girls. 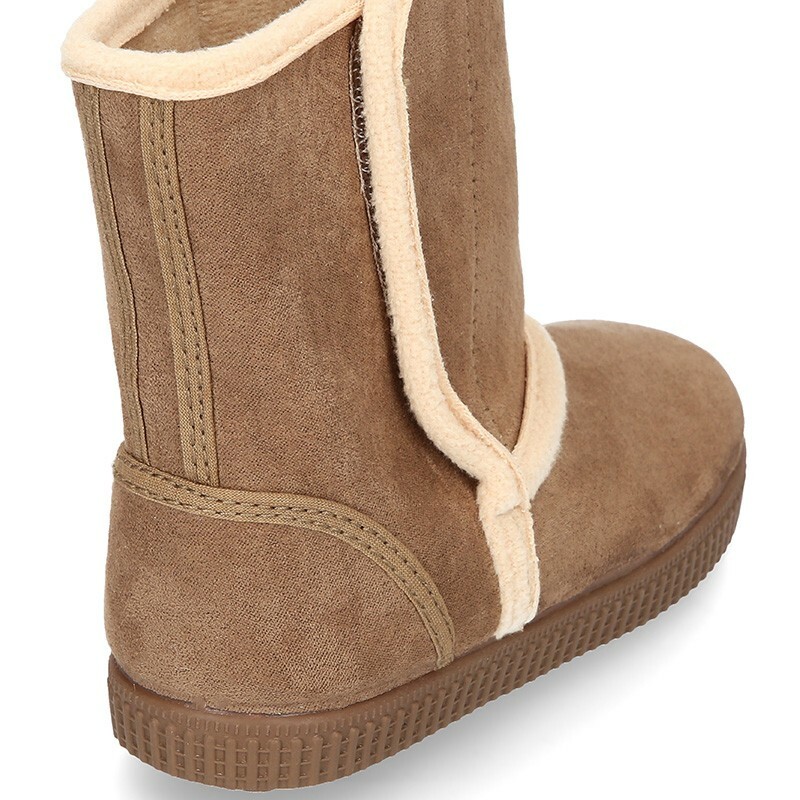 Very warm boots, comfortables and practical. Mix and match with all their garments. Very flexible to walk. 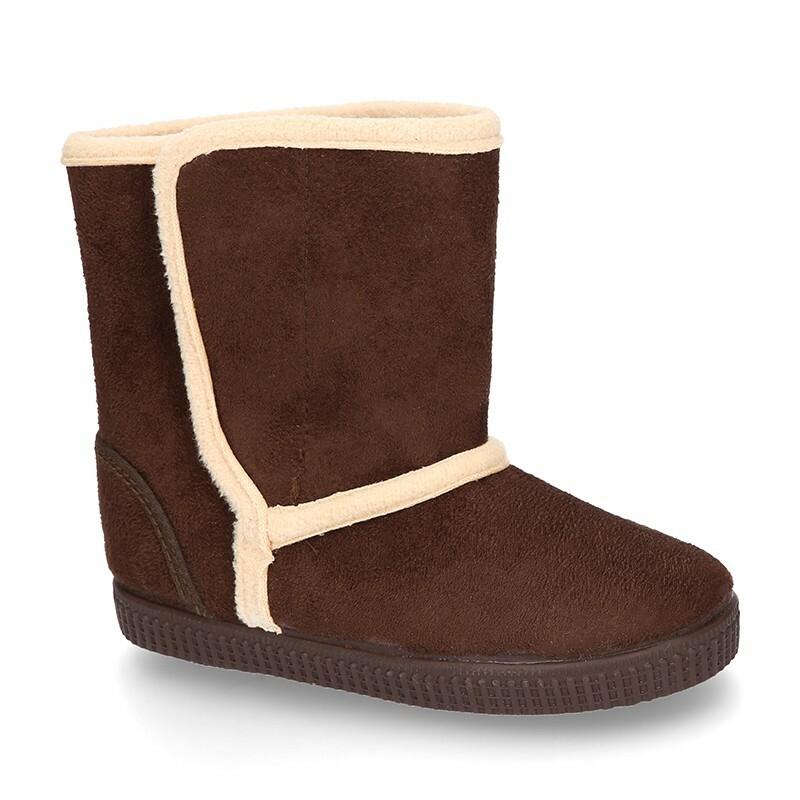 Made up of 100% Autumn winter canvas very similar to suede leather. With velcro strap closure for a better grip. 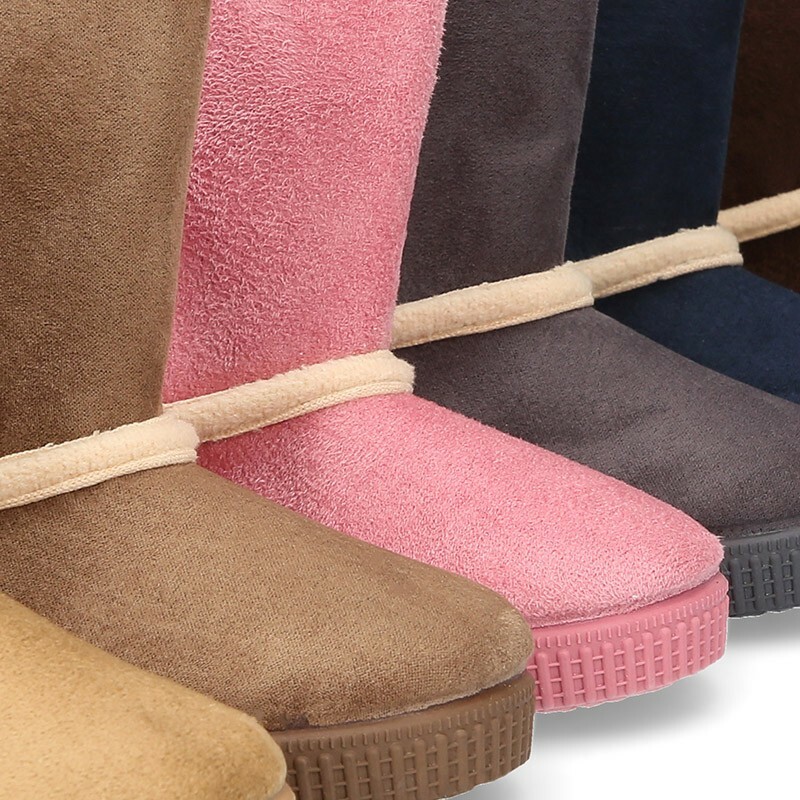 Fully lined in textile similar to wool and padded footbed to keep warmer feet this season. 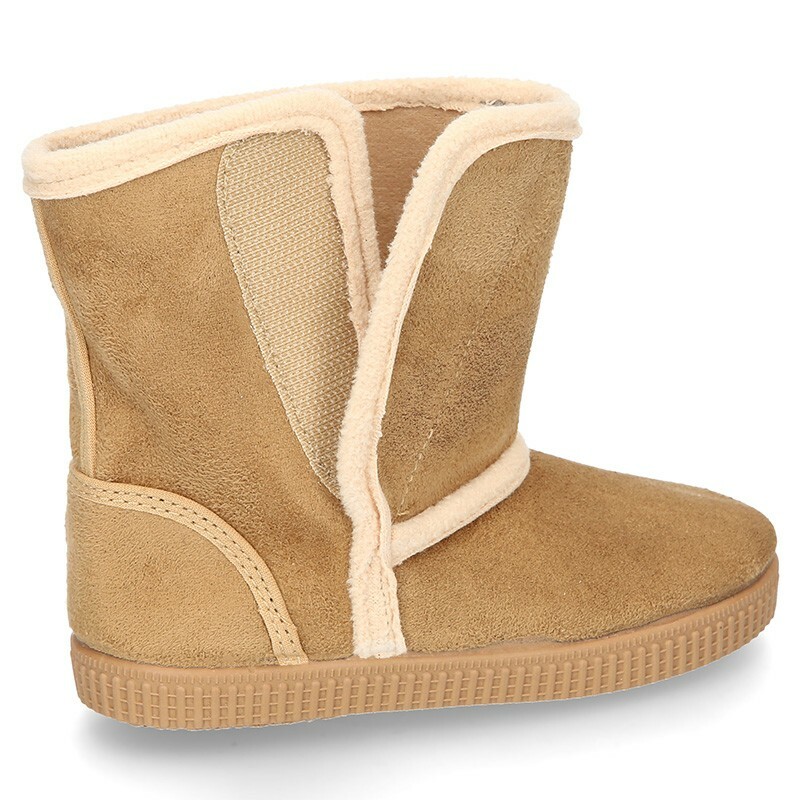 With perforated insole for a good perspiration of their feet. 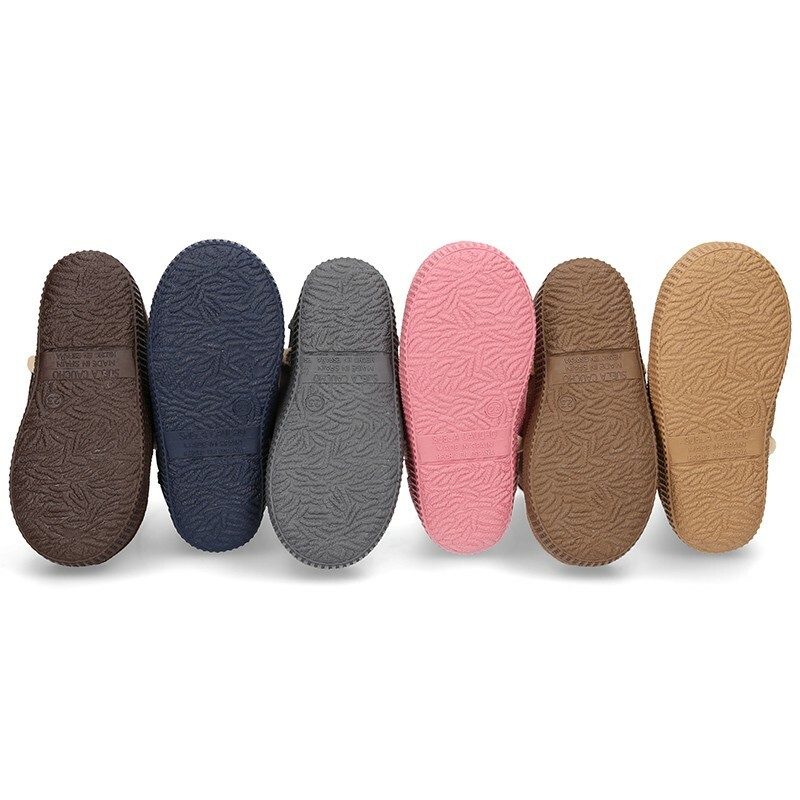 Sneaker type outsole made up on non- slip high quality rubber matching color. 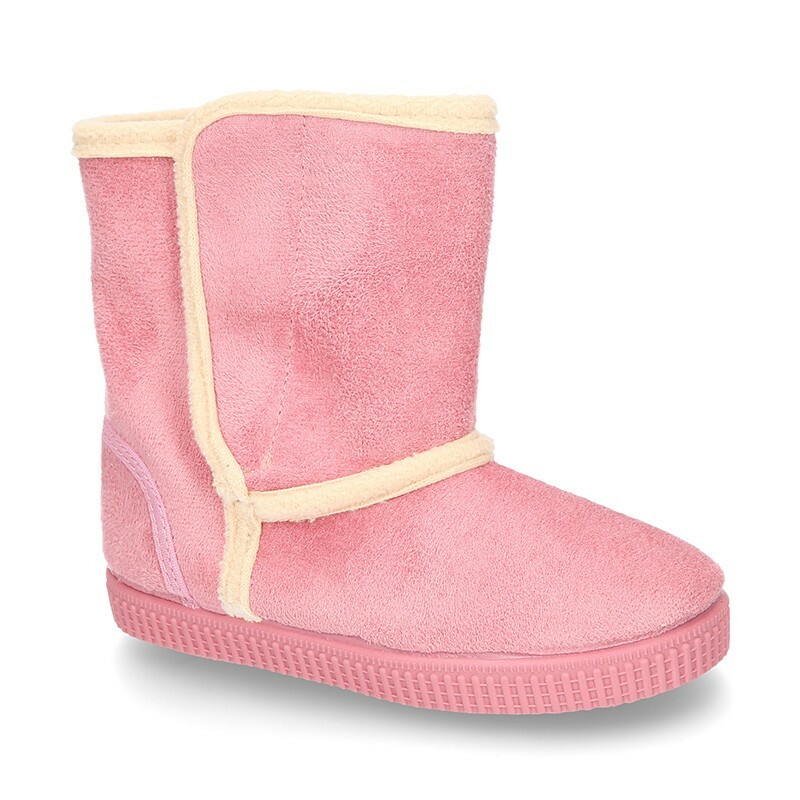 Outsole totally flexible, in order they can walk and play without any problems. Very light and soft. 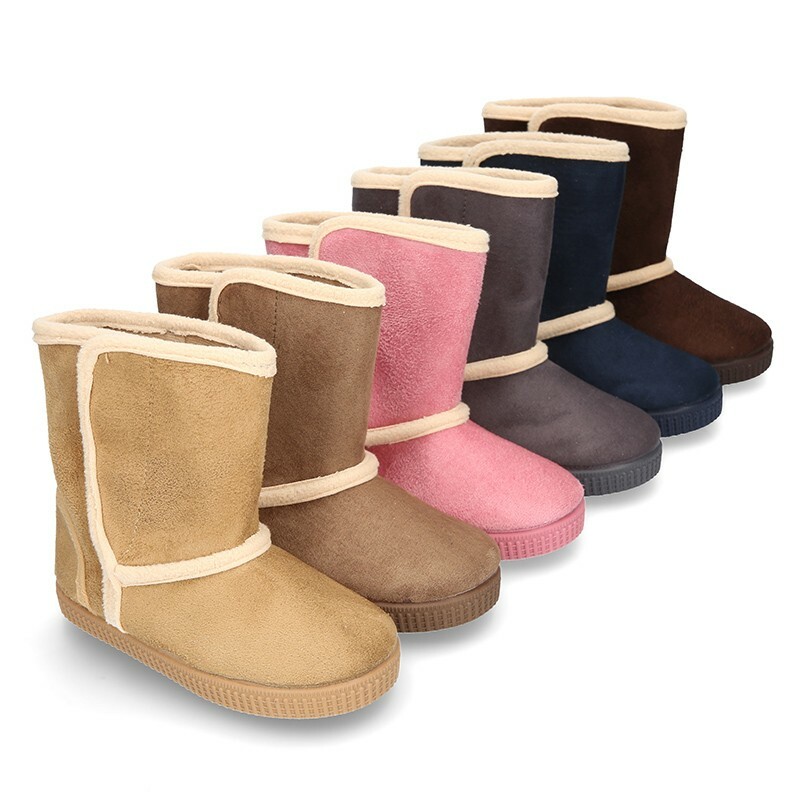 Available in 6 colors. Range of sizes: from 18 Euro size up to 34 Euro size. SIZING REGULAR. 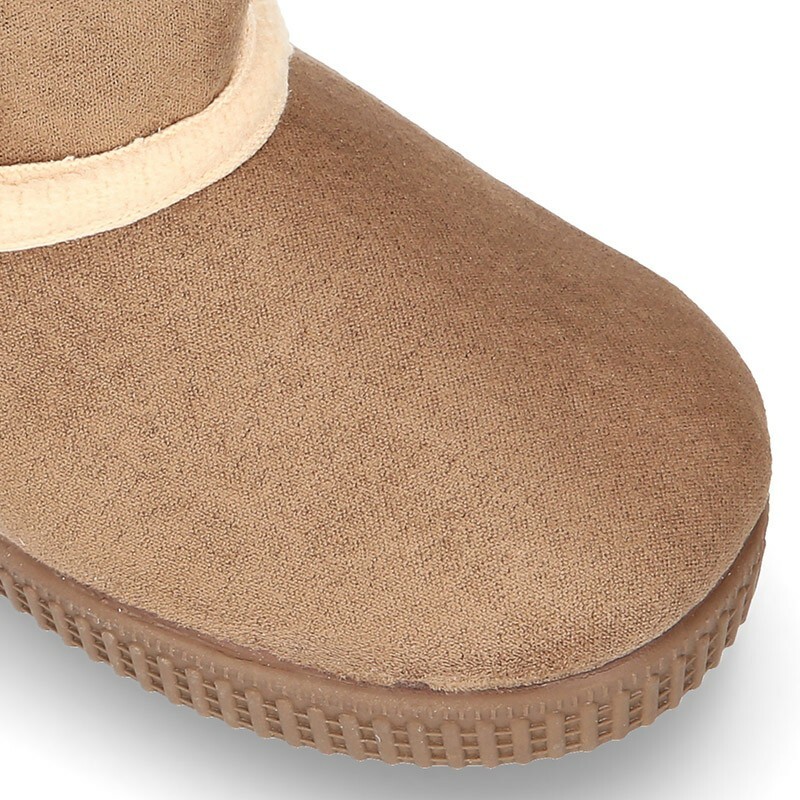 Data sheet about Autumn winter canvas Lined boot shoes with velcro closure and sneaker outsole. 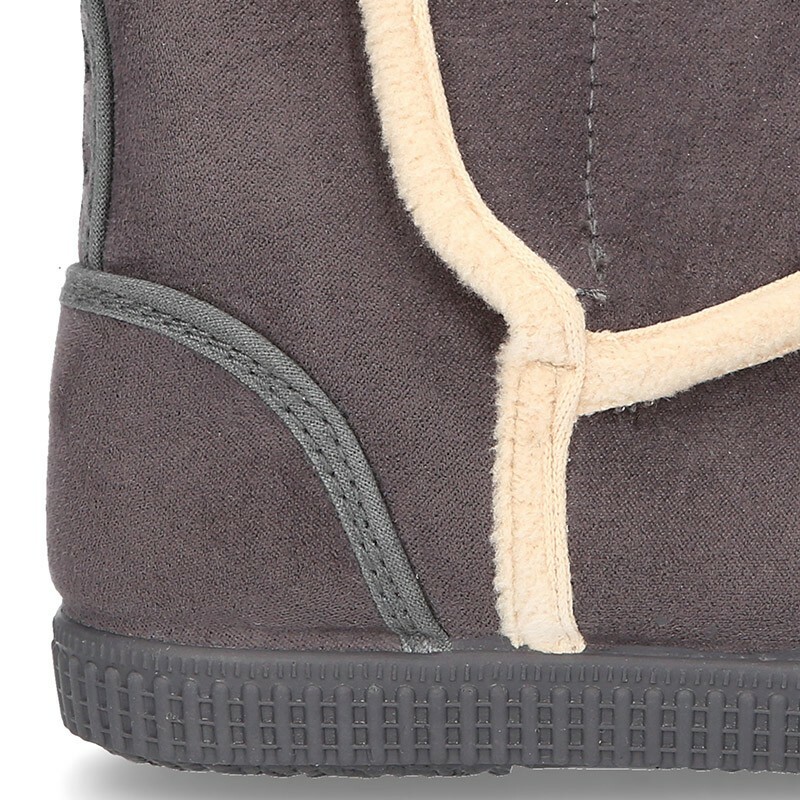 Medidas sobre Autumn winter canvas Lined boot shoes with velcro closure and sneaker outsole.